Bio Rad BioLogic DuoFlow Chromatography Peptide Purification HPLC Maximizer . New Life Scientific, Inc. The Bio Rad DuoFlow system is in good cosmetic condition. 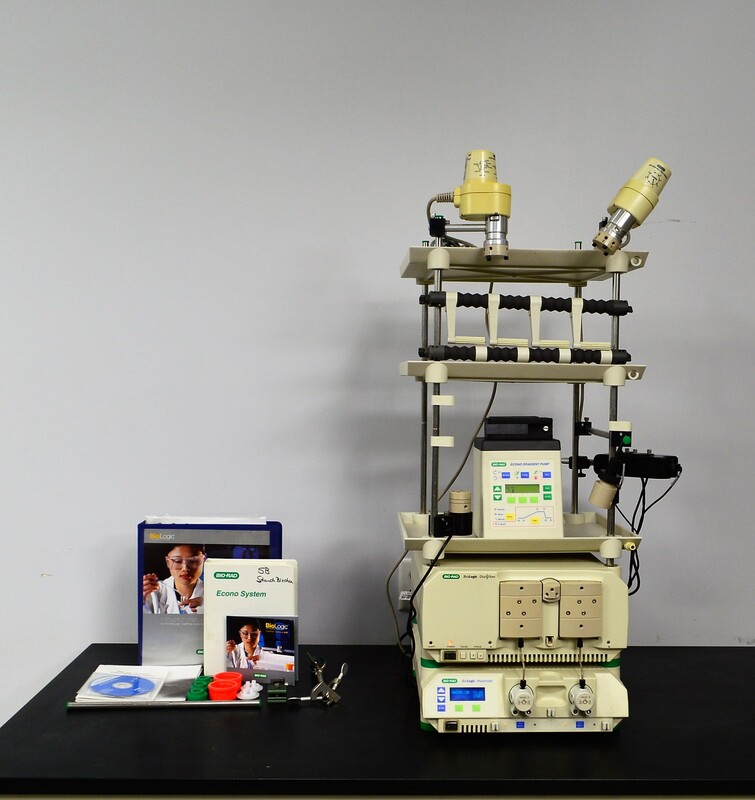 This system is ideal for a lab that needs a secondary BioLogic set-up or one that has individual components to complete this system. The individual components were powered on, but the technicians were unable to test for communication nor perform a mock run. The Bio Rad system requires the Bitbus USB communication adapter and other components, such as the Biofrac fraction collector. The DuoFlow system has interchangeable components and upgrades which can be reviewed in the Biologic DuoFlow Instruction Manual. The end-user can purchase the BitBus from the manufacturer, but Bio Rad will not sell the module to NLS. If the end-user would like to purchase a dedicated PC for this instrument, please inquire within. The user is responsible for any software licensing requirements, if outlined by the manufacturer.